Looking for the perfect addition to your sewing room? 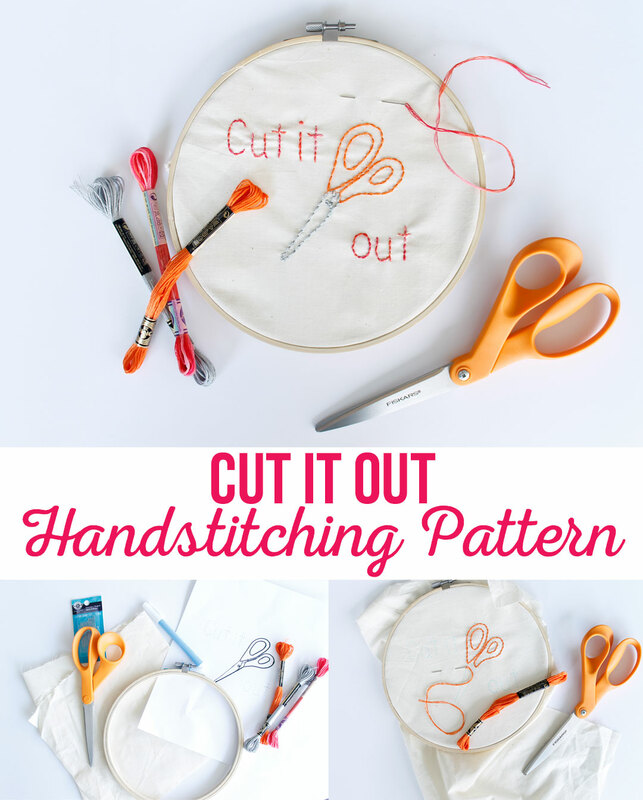 This Cut it Out Handstitching Pattern is the perfect project to add that extra touch of fun. Pattern is easy enough for a beginner, but loads of fun for anyone. This post is sponsored by Fiskars. All opinions and pattern are my own. 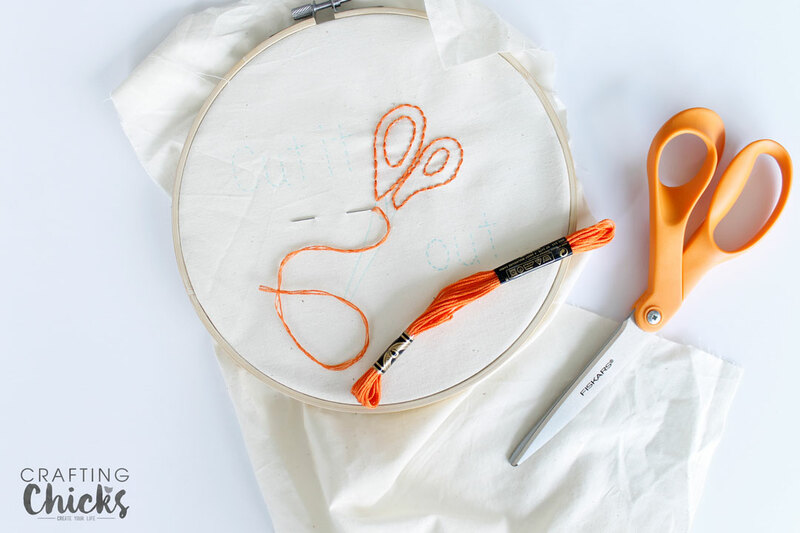 Do these Orange-handled Scissors take you back in time? Whenever I see the orange handles of Fiskars Scissors, I think of being about five years old and watching my mom sew. She would sew clothes for my sisters and I, and I loved watching her create each piece. 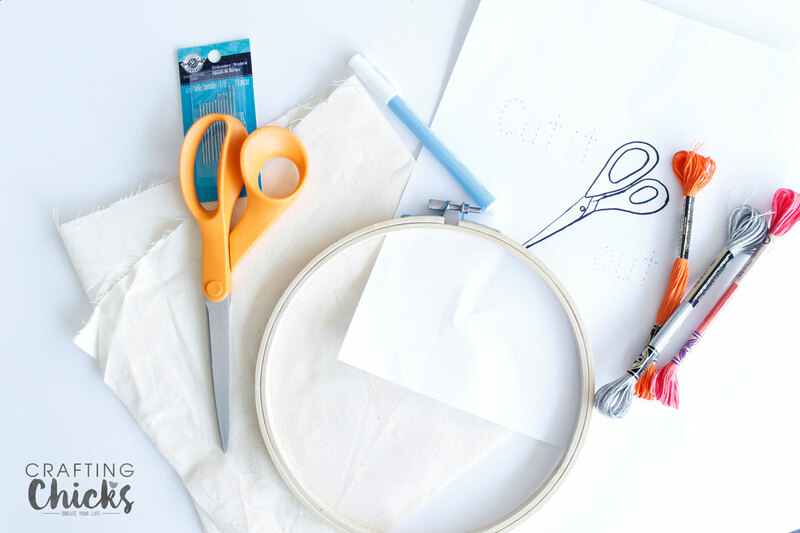 There were a few things I knew growing up and one of them was to never touch mom’s sewing scissors.I always wondered how she would know if I used them to cut paper, but I never dare try to. That was one rule that I knew never to break. Flash forward 30 some odd years and now those orange handled scissors are a part of my sewing, crafting, and creating life. I love that Fiskars has lasted this long and is celebrating the 50th Anniversary of the Orange-handled Scissors. 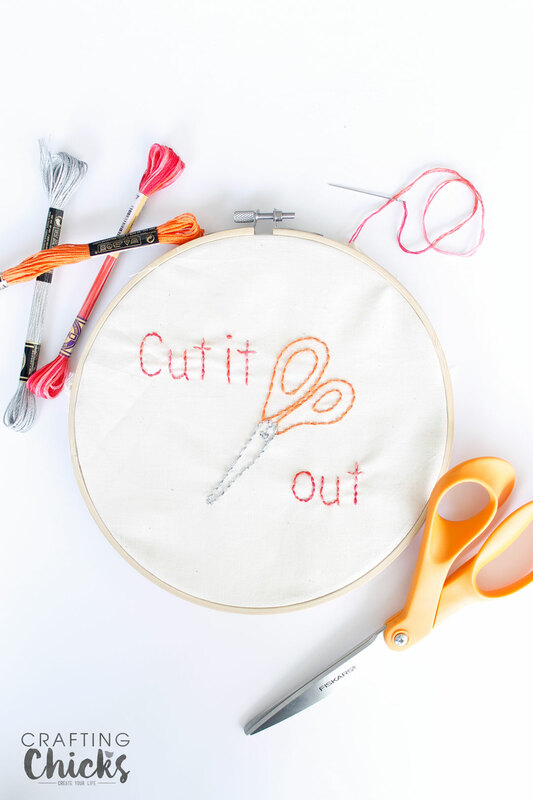 In order to help celebrate I created this fun, “Cut it Out” Handstitching Pattern. Just perfect for a fun craft project, or wall decor. embroidery hoop, 8″ is what I used. embroidery floss, I used DMC E415 for the silver, 721 or orange, and 4200 for the variegated pink and orange. 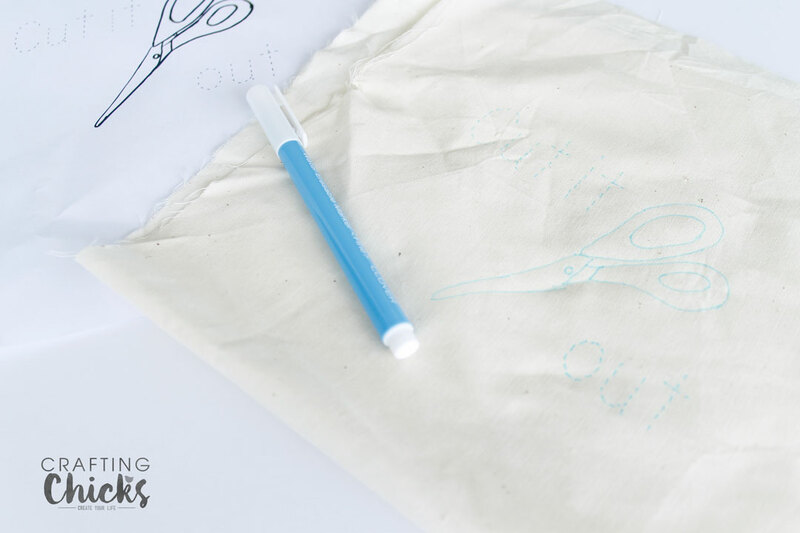 Print out the download of the “Cut it Out Pattern.” Transfer to the cotton material using a fabric marker. I like to tap my pattern to a window and then tape the fabric over top to create a light box. It makes tracing lots easier. 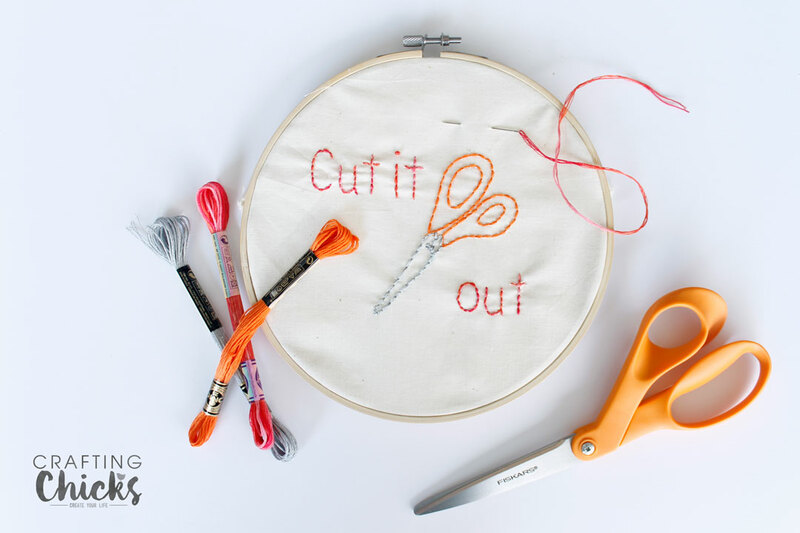 Begin stitching using a straight stitch. I of course wanted to see the orange first so I started with it. 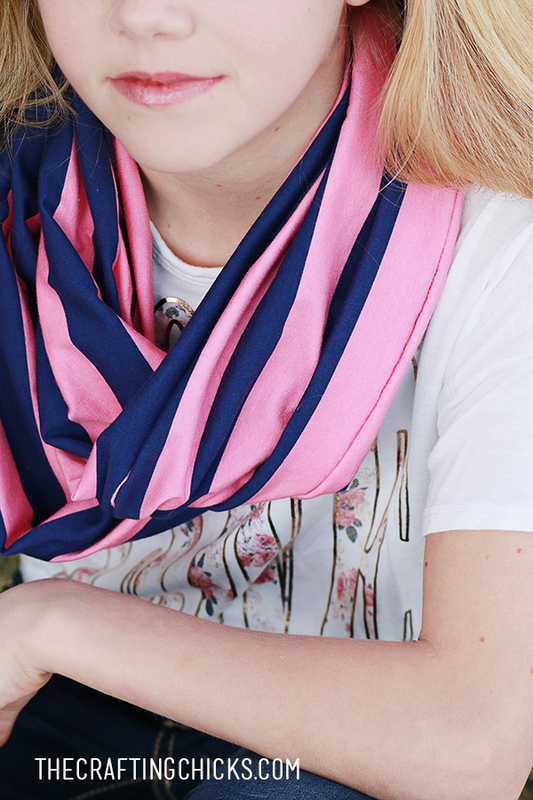 Continue hand-stitching with other colors until you are finished. I did use a french knot for the “i” dot. But all other stitched are a straight stitch. I love the finished product. My girls were big fans too, and they each made their own. 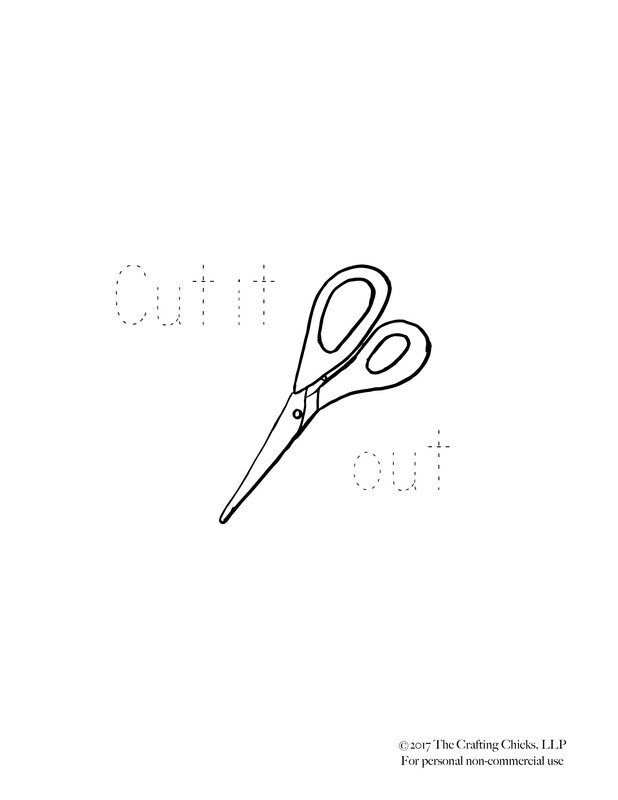 What do the Orange-handled Scissors mean to you? Leave us a comment and let us know. 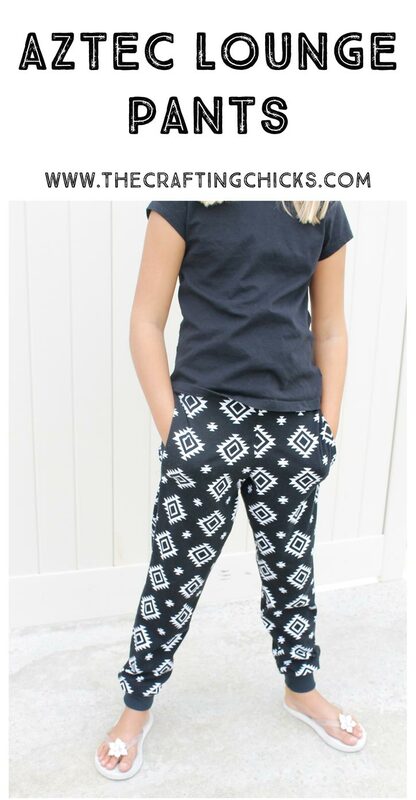 Becky, this is one of the most beautiful patterns of cut out that i have come across. 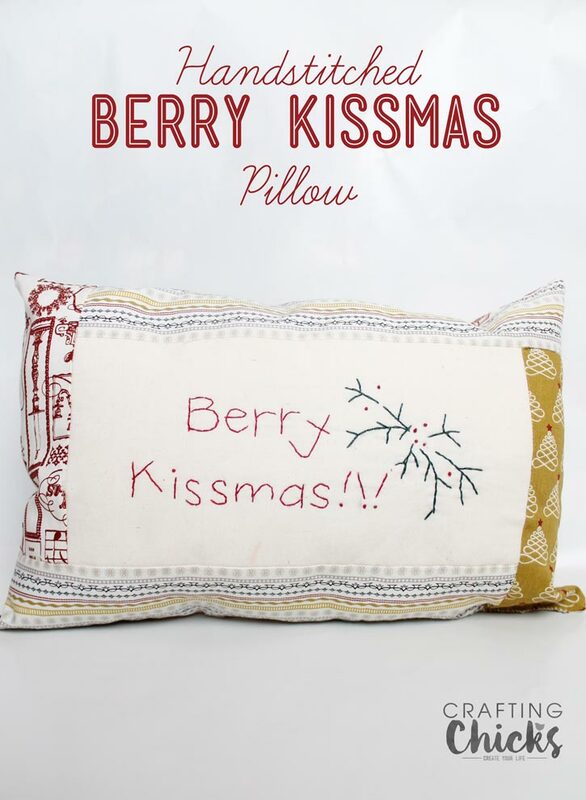 I also like the Berry Kissmas Hand-Stitched Pillow. Thanks for sharing this pattern. I would like to invite you to my sewing community if you have time and if you are interested.